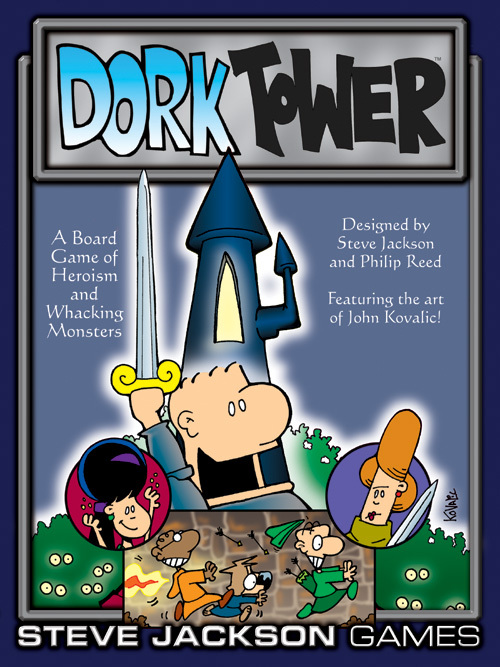 Dork Tower was listed in GAMES Magazine's "The Games 100" for 2004. 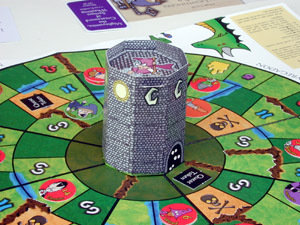 56 cards, over 100 monster and character disks, game map with 3-D central tower, rules, character sheets, and two dice. 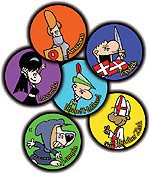 Download a Dork Tower banner for your web site. 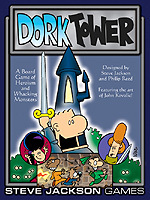 Download the Dork Tower rules. 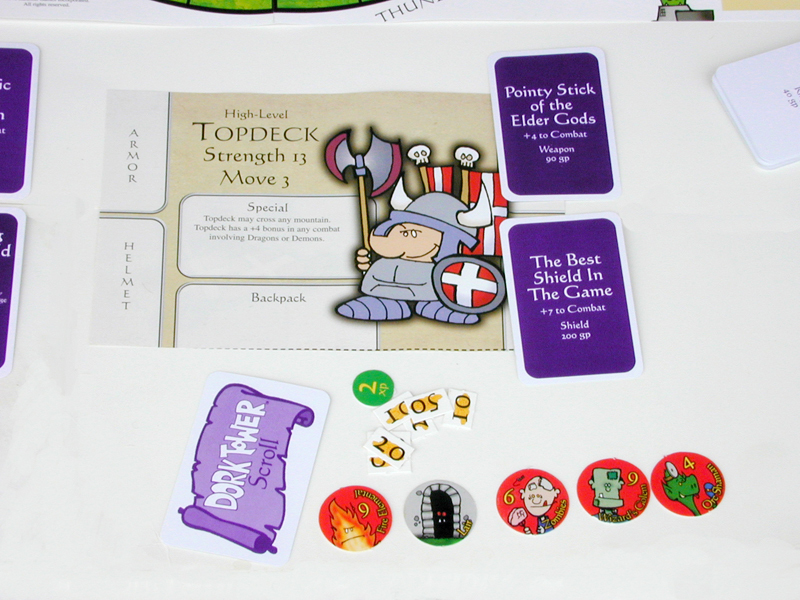 Play Dork Tower in 3D with Dork Tower Miniatures. 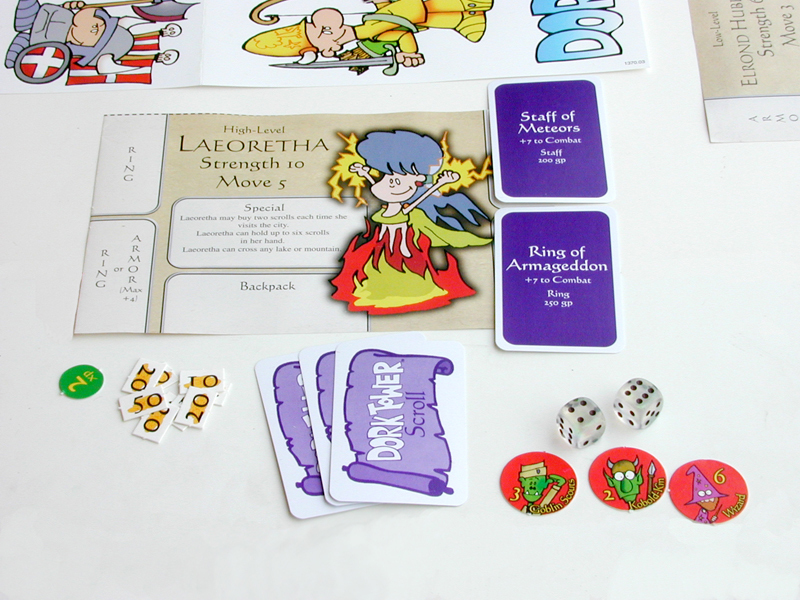 For more opportunities to play John Kovalic's characters, check out Chez Dork and Dork Frag. 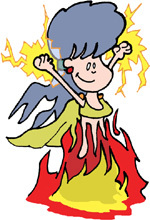 Discuss Dork Tower in the Steve Jackson Games Forums.